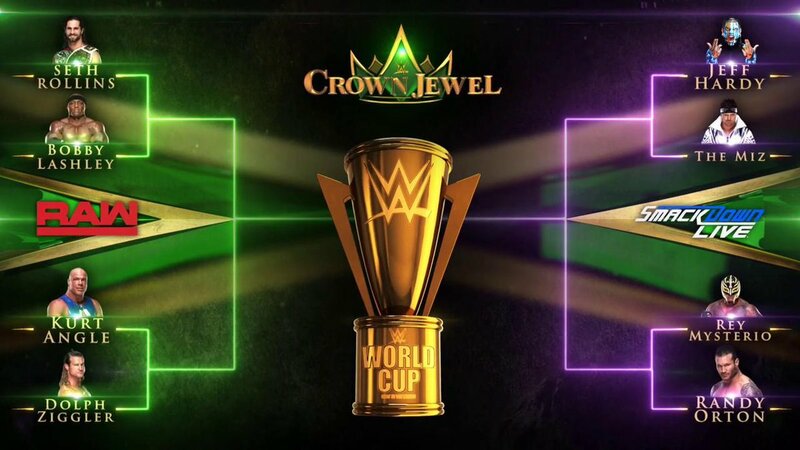 WWE Announces World Cup Tournament Brackets (Photo) - Wrestling Inc.
WWE has announced the brackets for the World Cup tournament at Friday's Crown Jewel pay-per-view from Riyadh, Saudi Arabia. The first-round matches for the RAW brand will be WWE Intercontinental Champion & RAW Tag Team Champion Seth Rollins vs. Bobby Lashley and WWE Hall of Famer Kurt Angle vs. Dolph Ziggler. The SmackDown brand will open with Jeff Hardy vs. The Miz and Rey Mysterio vs. Randy Orton. The winner of the one-night tournament will take home the World Cup trophy.